The NC PACES Act crowdfunding rules have been finalized, and the act is in effect as of April 1st 2017. The NC Secretary of State web site has the rules, forms, instructions and FAQs that startups and small businesses need to start using this new type of intrastate investment crowdfunding financing. There is more good news today. An excellent established investment crowdfunding website with experience doing intrastate offerings is supporting the NC PACES Act and other types of investment crowdfunding offerings on their new North Carolina platform. Localstake NC, with headquarters in Indianapolis, has been helping companies make successful intrastate offerings in Indiana, Michigan, and Colorado and they have now brought that expertise to businesses and investors here in North Carolina. Small businesses and startups have used Localstake to raise millions of dollars using the intrastate exemptions and other offering types since 2013. Localstake NC has been certified as a Broker/Dealer in North Carolina and is now open for business to do investment crowdfunding campaigns here. An investment platform like Localstake NC provides many useful services to help make your fundraising job easier. They will help with planning your offering, track dollar limits and residency for investors, help develop a target investor outreach program, and handle the investment process procedures like document reviews and signatures, escrow managment, funds transfer, and closing. And after a successful campaign, they will assist with any reporting required to investors and with payment processing of debt offerings. How do I put an offering together? The first step in putting together an offering is to do some research on how others have done it. The Indiana version of Localstake.com has many good examples of how this works, including companies with products and services in categories like Retail/Wholesale, Food/Beverage, Business Services, Healthcare/Biotech, Manufacturing, Software/Technology, and more. We can see from the offerings on www.localstake.com what is needed to create a good offering. Issuer companies create an offering page which includes a summary description, often a short introductory video about the company, a business plan section describing the product or service, target customers, development process, marketing strategy, management team, competition, and other relevant information for investors. They can also include financial information if they have been in business long enough to have them, or their financial projections if they haven’t. The issuer should also include info about the use of funds, and the actual investment documentation for investors to review. All of this information is referred to as the company profile, and this is what you will use to attract investors to your offering. Which exemption should I use? What are the rules? You can choose an NC PACES exemption, a Reg D 506(b), 506(c), or 504, or Regulation Crowdfunding, or Reg A+ exemption, but keep in mind the rules are different for each of the exemptions. Your attorney and advisors can help you understand the requirements of each. Let’s look at NC PACES as an example. If you are using an NC PACES offering, you can build a company profile on Localstake NC for what is called a North Carolina Paces offering (NCPO), or make a website yourself if you prefer to use a smaller offering type called a Local Public Offering (LPO). But the platform or your website has to be compliant with the PACES law and the rules on the NC Secretary of State website, so you should get familiar with those too. Read the FAQs first, then the PACES Act rules to get a good idea how this all works. Businesses ranging from brand new to mature can make use of the new law for financing. North Carolina based startups and small businesses that want to raise money using the NC PACES Act crowdfunding law (referred to as issuers of an investment offering) will follow the registration, reporting, escrow management, record keeping, promotion, and procedure rules of the PACES Act on the Secretary of State website. Once an offering filing is approved by state regulators, businesses can start raising money using equity or debt offerings to raise up to $2M if they have reviewed or audited financials, and up to $1M if they do not. North Carolina accredited angel investors can invest an unlimited amount, and North Carolina unaccredited retail investors can invest up to $5000 per offering. PACES allows three different sizes of offerings depending on the amount of money you want to raise, and the rules are slightly different for each. Local Public Offering (LPO) – you can raise up to $250k, and promote the offering in a variety of ways including social media, advertising, and events. You do not have to use the internet to promote or list your offering, but if you do you must have a PACES compliant website. You will still need to follow all the PACES rules, except where the LPO rules provide you with a better alternative that override the normal PACES rules. This is a "do-it-yourself" offering that under the current rules cannot use a registered funding platform or broker/dealer to host the offering. You will create and register the offering and submit the offering docs and marketing plan to the NC Securities Division, and meet with them to get the offering approved before you can launch. NC PACES Offering (NCPO, up to $1M, also called the Invest NC Exemption) – you can raise up to $1M without audited or reviewed financial statements as long as you give investors financial information required by anti-fraud rules. In this case, you must use a PACES compliant crowdfunding platform like Localstake NC, and you cannot publicly promote the offering other than with a limited tombstone type description that links to the offering website. With this type of offering, the platform will provide the tools and assistance to put the offering together, get it registered with the state regulators, manage the offering campaign, and make sure everything is compliant. In many cases this will be easier and more effective for issuers even if they are raising $250K or less. NC PACES Offering (NCPO, up to $2M, also called the Invest NC Exemption) – you can raise up to $2M if you have GAAP compliant financial statements that have been reviewed or audited by a CPA. Your financial statements must cover the longer of 12 months or the period required by GAAP. In this case, you must have a PACES compliant platform, and you cannot publicly promote the offering outside the platform other than with a limited tombstone type description that links to the offering website. What type of offering should I do? NC PACES allows equity or debt offerings of various types, and three popular ones for startups and small businesses are revenue share loans, preferred equity, or convertible note offerings. Whichever type you choose, you will need to work with a securities attorney to help you put together things like disclosure documents, subscription agreements, term sheets, and the state filing forms you will need to do to set up your offering, get it approved, and make sure you are in compliance with the NC PACES securities law rules. If you decide to use Localstake NC, they will help you analyze and build the right type of offering for your company. A key decision here is your goal for how much will you raise, and what is the minimum amount you need that will help your business achieve your objectives. PACES requires that any funds collected from investors to be kept in an escrow account until the minimum amount is reached. PACES requires that the minimum for an NCPO must be at least 20% of your goal and for an LPO at least 25% of your goal. You can read the issuer and escrow accountFAQs for more information. · a majority of the company’s employees are based in the state. Part II will cover finding investors for your offering. Part III will discuss investing in private offerings. Note: Both historical financial statements and financial projections must satisfy the anti-fraud rules of securities laws. Avoid telling partial truths. What you omit can create liability if it misleads investors. Be careful to be reasonable in what you assume when you create projections and tell investors your assumptions so they can determine reasonableness for themselves. Note: Most North Carolina businesses can use the new law, but your business must satisfy certain requirements for having connections to the state of North Carolina and not be on a short list of excluded types of businesses. See the Issuer FAQS for more info. You must also have a Federal exemption for your offering - SEC Rules 147 or 147A. Check both Federal and state eligibility requirements before you start planning your offering. Note: Check with your securities attorney whether non-GAAP financial information you give investors will satisfy anti-fraud rules. All the dollar limits mentioned above are for rolling 12- month periods. 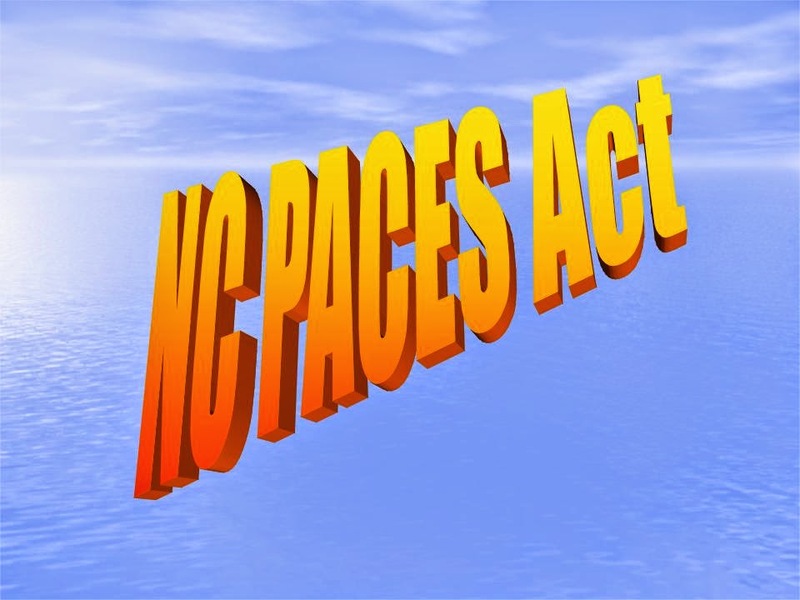 Note: This is just a brief overview of the NC PACES Act process, and is not intended to be legal, financial or investment advice. You should review all the information on the Secretary of State crowdfunding website, and work with a good business attorney to put your securities offering together. If you need help building a profile and putting an online offering together on the crowdfunding platform you may contact Ryan Flynn at Localstake NC. If you need help putting together a crowdfunding campaign such as legal, marketing, accounting, video production, technical product support, and more, please see our Services and Resources tabs on CrowdfundNC.com. If you have general questions about the NC PACES Act law and rules for the state regulators, you may contact John Maron by email jmaron@sosnc.gov . To stay informed about NC PACES and crowdfunding please subscribe on the upper right to CrowdfundNC.com and contact us by email crowdfundnc@nc.rr.com. Investment Crowdfunding 101B: How Do I Find Investors? PART II: How do I find investors? This is Part II of our series on investment crowdfunding. Once you have put together the offering docs, your company profile, and gotten approval from the state regulators, you are ready to launch your funding campaign. You will need to have a marketing strategy for this effort. What kind of investors are you looking for, accredited, non-accredited, both? Where can you find them? How can you get the word out about your offering to bring people to your offering page? How long should the campaign be? And remember that for PACES all investors need to be North Carolina residents. One way to look at it is you are expanding your potential investor pool from ‘friends and family’ to ‘friends, family, customers, partners, and community’. So think about which of those groups you want to reach and how to reach them. The platforms like Localstake NC can be of help with this as they grow their investor database in North Carolina, but will also need to create a marketing campaign to find investors on your own or with help from a marketing services provider. It will be like any other marketing campaign, requiring a social media and promotion strategy, information updates, answers to potential investor questions, and other follow up, so budget plenty of time for those activities while the campaign is active. All of these communications with investors must satisfy the anti-fraud rules of securities laws. If you need some help, see our Services tab. ABC Pizza has a couple of successful shops in the Triangle, and the owner wants to open some new locations. It costs about $125k for him to outfit a new location, so he decides to use the PACES LPO and raise $250k to open two new shops. He expects the shops will begin generating revenue soon after opening, so he decides to sell revenue share loans, which do not have fixed repayment installments, but allow him to pay installments based on a percentage of his revenue with a balloon payment at the end of 3 years for an unpaid remainder. If he raises the LPO minimum of $125k he can open one new shop, and if he raises the LPO maximum goal of $250k, he can open two new shops. He creates a company profile and puts the revenue share offering he worked out with his securities attorney online either on his own website or hosted as a separate website, he sets the minimum investment size at $500 per investor, and plans a campaign to last 90 days. He sets up an escrow account at his bank to deposit investor funds until the minimum is reached. 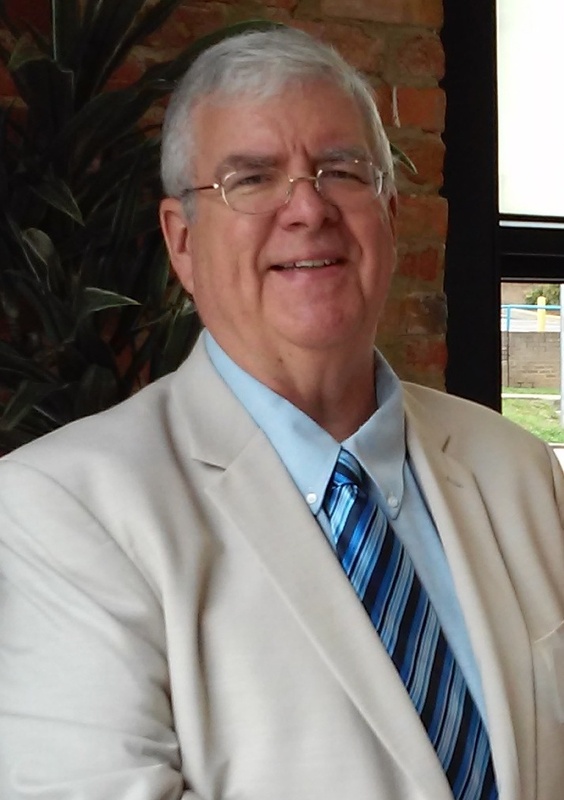 He puts together a promotion plan to find investors in the Triangle and North Carolina. Next he has to get everything approved by the North Carolina Securities Division Administrator. 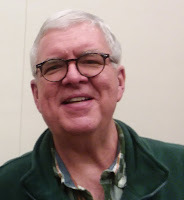 He files his disclosure and subscription docs, marketing plan, escrow agreement, and other offering information with the state regulators, has a meeting with them to review everything, and gets approved for the offering. Once the campaign is launched, he starts with his existing customer email list of over 5,000 regulars, and promotes the offering on Facebook, Twitter, and Instagram as allowed by the LPO, puts some flyers on the checkout stand at his restaurants, and places an ad on a local business website. He does other PR and updates as the campaign progresses, and answers investor questions on the offering web page. If ABC Pizza raises the minimum amount of $125k, the money is transferred from escrow and the revenue share loan goes into effect for investors. If not, the money is returned to the investors from escrow. If the campaign is successful, as a bonus perk, when he sends his quarterly report to his investors he will include a coupon for a free pizza. Note: If material facts change after his offering is approved by the securities administrator or if he discovers material mistakes or misleading omissions after his offering is approved, he stops the offering and refiles updated information and waits until his updated offering is re-approved before resuming the offering. QRS Startup Co. is a new startup currently operating out of an accelerator program in the Triangle. The founder is seeking seed stage money to complete a production ready version of their first product and to validate the business model and market for the product, which she believes will be a very popular consumer product idea. Since they don’t have any financial history, she decides to use the PACES NCPO to raise a minimum of $300k and a maximum of $500k using a convertible note with a term of 8% interest and 24 month conversion to preferred equity and a conversion valuation cap of $4M. She creates a company profile and puts the convertible note offering she worked out with her securities attorney on Localstake NC, she sets the minimum investment size at $5000 per investor, and plans a campaign to last 90 days. Localstake NC sets up an escrow account and helps her create a compelling company profile on the platform, and manages all the investor signups and transactions for her as the campaign progresses. She puts together a promotion plan to find accredited and non-accredited investors in the Triangle and North Carolina. She files a notice of the offering with the state regulators and gets approved for the offering. Once the campaign is launched, she puts a tombstonestyle ‘Advertising Notice’ as defined by the NCPO rules on her company website, starts emailing her list of contacts, and promotes the offering on Facebook and Twitter using the ‘Advertising Notice’ which directs everyone to the offering site on Localstake NC. She does updates as the campaign progresses, and answers investor questions on the offering web page. If QRS Startup Co. raises the minimum amount of $300k, the money is transferred from escrow and the convertible note goes into effect for investors. If not, the money is returned to the investors from escrow. The same updating and correction rules apply as described in the LPO example. XYZ Tech Co. is a mature 4 year old tech company in North Carolina that has developed a very good subscription based business model for their services and has achieved profitability in their current markets in Raleigh and Charlotte. They are now in the process of opening new markets, and need additional funding to support this growth. Rather than selling more equity and diluting the existing shareholders as they have done in the past, the founders decide to borrow money in the form of a revenue share loan using the NC PACES NCPO. It cost them about $300k each time to develop the Raleigh and Charlotte markets to profitability, so they would like to raise another $1.5M to open 5 new markets. They set the offering minimum at $600k so they can open at least 2 new markets in the next 12 months. They create a company profile and put the revenue share offering they worked out with their securities attorney on Localstake NC, they set the minimum investment size at $5000 per investor, and they work together with one of the CrowdfundNC Services marketing service providers to plan a campaign to last 90 days. Localstake NC sets up an escrow account and helps them create a compelling company profile on the platform, and manages all the investor signups and transactions for them as the campaign progresses. They also have their financial statements reviewed by a CPA and post them as part of the offering. They put together a promotion plan to find investors in the Triangle and North Carolina. They file the offering docs and information with the state regulators and get approved for the offering. Once the campaign is launched, they put a tombstonestyle ‘Advertising Notice’ as defined by the NCPO rules on the company website, start emailing their list of contacts, and promote the offering on Facebook and Twitter using the ‘Advertising Notice’ which directs everyone to the offering site on Localstake NC. They do updates as the campaign progresses, and answer investor questions on the offering web page. If XYZ Tech Co. raises the minimum amount of $600k, the money is transferred from escrow and the revenue share loan goes into effect for investors. If not, the money is returned to the investors from escrow. The same updating and correction rules apply as described in the LPO example. Note: In all three examples, what happens if the disclosure documents provided by the companies do not satisfy the Anti-Fraud provisions of Securities Laws? Can they rely on the approval of the securities administrator to protect them from liability to investors? The answer is no. The review of the securities administrator is required to get an exemption from registration, but it does not protect you from liability for failing to comply with anti-fraud rules. A good disclosure document will take care of this possibility. What happens after I raise the money? PACES requires that issuers provide a quarterly report to all investors in the offering, with updates to the progress of the offering, and after it is completed, progress of the company. These reports are required until the securities are no longer outstanding, for example until a revenue share loan is paid off. If you sell convertible notes or stock, the reporting stays in effect until the stock is sold or exchanged for another type of security such as in an acquisition. This reporting service and follow up can be managed by a platform like Localstake NC. You will want to do these brief reports and keep your investors informed, because you may want to do another crowdfunding offering in the future. NC PACES allows you to make an offering every 12 months. Do your research, put together a company profile, your offering docs, a crowdfunding campaign promotion plan, and start crowdfunding! Part I discusses creating an investment crowdfunding offering. Part III discusses investing private offerings. This is Part III of our series on investment crowdfunding. We will use the NC PACES Act offerings as an example, but the same risks, rewards, and due diligence apply to other type of private offerings now available with investment crowdfunding. The NC PACES Act investment crowdfunding exemption is now in effect. Please see the Secretary of State Crowdfunding website to review the FAQs and rules. Investors will want to start by reviewing the excellent Investor FAQs there. Investors should also review the investment process, investment types, vetting process, and risk analysis on the Localstake NC website. An experienced crowdfunding platform like Localstake NC, which is a registered Broker/Dealer in North Carolina, supports PACES Act offerings and does things that help reduce investor risk such as vetting of the businesses, background checks, checking on compliance with the rules, document management, escrow funds transfer management, and follow up reporting on your investment. What is new about this for investors? North Carolina residents can now allocate a portion of their investment funds in an organized and transparent way using a broker/dealer account on Localstake NC to build a diversified portfolio of local investments. First decide how much you want to invest in these private offerings, and what type of offerings interest you. Are you interested in income generation (debt offerings) or long term equity growth (equity offerings)? Are there certain types of companies or products or services that interest you? Are you interested in supporting local companies in your community or elsewhere in North Carolina? These are high risk investments, so how much can you afford to risk? Next, do your research, find some companies you are interested in, review the company profile, the management team, and the offering docs, ask your questions of the management, and when you find something you like, start crowdfunding. Why is NC PACES needed? Start-up companies and small businesses play a critical role in creating new jobs and growing the economy. The NC PACES Act crowdfunding legislation is a safe, fair, and easy to implement securities law exemption that enables a new way of financing start-ups and small businesses in North Carolina called investment crowdfunding. North Carolina residents can now open a broker/dealer account on Localstake NC and allocate a portion of their investment funds in an organized and transparent way to build a diversified portfolio of local investments. For the first time, North Carolina residents can help fund local businesses in their own community while receiving a good return on their investment. And any North Carolina resident can now invest in high growth startups that can become the next big success story in our state. Opportunities that were previously only available to wealthy angel investors, VCs, and private equity firms can now be open to everyone. Who can invest in NC PACES offerings? The exemption allows any citizen of North Carolina to buy equity or debt offerings from a North Carolina company provided the disclosure, reporting, filing, escrow management, and limits described in the exemption and rules are followed. Non-accredited investors can invest a maximum of $5000 in a PACES offering. Businesses may set their own stricter limitations on who can invest. Investors cannot form a syndicate to aggregate many investors into an LLC, but the offering company can set the minimum investment size to limit the number of investors in the offering. What kind of offerings can be made with NC PACES? The PACES Act allows North Carolina companies to issue equity offerings or convertible notes, and also allows non-convertible debt offerings such as revenue share loans and promissory notes. Other types of more complex offerings are allowed, and some are prohibited. Please see the PACES Act rules for more info. The start-up and small business community in North Carolina will benefit greatly from this new form of financing. North Carolina investors see this as a great way to create and grow North Carolina companies and create jobs. For the first time, retail investors in North Carolina will have the opportunity to participate in the economic growth of their communities by investing limited amounts in start-ups and small businesses. The offering issuer must be a North Carolina business. The investor must be a North Carolina resident. Fundraising Cap: Within a 12-month period issuers may raise up to $1M with little or no financial history, or $2M with reviewed or audited financials. Investor Cap: Non-accredited investors may invest no more than $5000 per issuer. Accredited investors may invest an unlimited amount. Issuers must use an escrow agent to hold funds until the minimum is met. The escrow agent must be registered with state securities regulators. Intermediaries: Issuers may use a professional crowdfunding platform compliant with NC PACES such as Localstake NC, but it is not required. However the offering must still be compliant with all NC PACES rules. Reporting: Quarterly reports must be provided to all investors discussing management compensation, operating results, and financial condition until the offering is completed, for example the loan is repaid in full or the offering stock is converted or sold. Communicating Risk: Issuers are required to communicate in writing the business plan, financials or projections, use of funds, and risk factors of the offering. Investors are required to certify in writing by the time of sale that they understand the risks of unregistered securities and that they may lose their entire investment. NC PACES is NOT a radical change to the North Carolina or Federal securities laws. It permits very well understood and popular offerings such as revenue share loans, preferred stock offerings, and convertible notes. As of 2017 36 other states have similar exemptions. Investment crowdfunding is also NOT like Kickstarter. Companies that raise money via investment crowdfunding will have to thoroughly document their business model, financial projections, offering terms, how the investment may see a return, and more. Investors will choose whether or not to participate based on this and other information that is made publicly available during the fundraising process, providing for a high degree of transparency and accountability. NC PACES is NOT an expensive state government program. It is simply an exemption to allow a new type of securities offering which is regulated by the NC Secretary of State Securities Division as part of their normal activities. NC PACES does not require any funding from North Carolina taxpayers. These are high risk investments in private companies and any investor could lose part or all their money. The PACES Act and the rules describe the disclosure requirements, reporting requirements, filing requirements, escrow requirements and limits that help make this exemption safe and fair for both North Carolina small business and North Carolina investors, but there are no guarantees. These protection requirements have been reviewed and enhanced by the North Carolina Secretary of State's Securities Division, the NC Bar Association Securities Committee, and crowdfunding industry experts. Experience in the US over the last 5 years show very limited fraud potential with these kinds of safeguards. Having the crowd examine the offerings actually creates a powerful barrier to fraud. But that is no guarantee of success of the investment. Can investors lose all their money? These are high risk investments in private companies and any investor could lose part or all of their money. However NC PACES has provisions to help prevent excessive losses. Non-accredited investors are limited to a $5000 max investment in an offering. Information about all offerings must be filed and approved by state regulators. There will be a written contract between the issuer and the investor specifying all the terms and risks, and an escrow account that will allow the investment to be returned in case the minimum offering amount is not raised. Investors must explicitly confirm in writing that they understand the high risk nature of these investments. NC PACES allows any offering to attract both accredited investors to invest larger amounts, and non-accredited investors to invest up to $5000. Existing data from successful crowdfunding campaigns shows that most offerings have both types of investors. How do I invest my money, and how are money transfers made? NC PACES Act offerings, like all private offerings, are based on a set of legal offering documents generated by the issuer. PACES Act documents cannot be changed or negotiated on a case-by-case basis, because all the investors must get the same information and documents as part of the offering. The investor should carefully review these documents before investing. Both the issuing company and the investor will agree to and sign the offering documents, and the investor writes a check or does an electronics funds transfer to fund the investment, usually into the escrow account for the offering. Once the minimum amount is raised in the escrow, the money is transferred to the offering company and the terms of the offering go into effect. If the minimum is not raised in the specified time period of 12 months or less, the investment is returned to the investor. Once the offering is in effect, the issuing company may make loan repayments in a variety of ways, including by check, direct deposit, or other methods specified in the offering documents. Equity offerings will normally issue stock certificates of the company to the investors representing the number and type of stock shares purchased in the offering or on conversion of a convertible note. What is the exit strategy for these offerings? How do I get my money back? The business could fail to raise the minimum offering amount – the investment is returned from escrow in 12 months or less. The investor could change their mind and request a return of the investment. This can normally be done if the money is still in escrow. The offering is funded, but the business could fail to become profitable and go out of business – the investment is lost. NC PACES requires very clear warnings on issuer documentation and an acknowledgement in writing from the investor that they understand that these investments are high risk and that all of the investment may be lost. For debt offerings, the business would make debt payments to investors as specified in the terms until the investment is repaid. These debt offerings are the most common type for small businesses. For convertible debt offerings, the company may have a future qualified financing event which will allow the debt to be converted into equity according to the terms of the convertible note. For equity offerings, the business could share profits with the shareholders in the form of dividends. The business could be acquired or merge with another company or be bought out by a private equity company, and the investor receives a cash buyout or equity in the new company. This may result in a gain or loss depending on valuation. Early investors in the company may have the opportunity to sell their shares in a secondary market private offering. Many shareholder agreements allow the sale of private shares back to the company or to other qualified buyers after a holding period of one year. This may result in a gain or loss depending on valuation. The business could become very successful and have an Initial Public Offering (IPO). Investors may then sell their shares on the public market. Other scenarios are possible. Keep in mind it could take many years to achieve any return. The investment crowdfunding websites have lots of investor education available on this topic. North Carolina residents can now allocate a portion of their investment funds in an organized and transparent way using a broker/dealer account on Localstake NC to build a diversified portfolio of local investments. First decide how much you want to invest in these private offerings, and what type of offerings interest you. Are you interested in income generation (debt offerings) or long term equity growth (equity offerings)? Are there certain types of companies or products or services that interest you? These are high risk investments, so how much can you afford to risk? 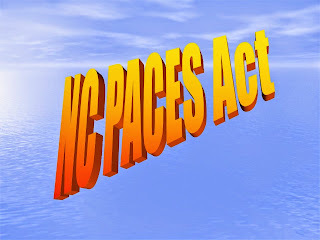 Note: This is just a brief overview of the NC PACES Act process, and is not intended to be legal, financial or investment advice. You should review all the information on the Secretary of Statecrowdfunding website, and work with a good business attorney to put your securities offering together. If you need help building a profile and putting an online offering together on the crowdfunding platform you may contact Ryan Flynn at Localstake NC. If you need help putting together a crowdfunding campaign such as legal, marketing, accounting, video production, technical product support, and more, please see our Services and Resources tabs on CrowdfundNC.com. If you have general questions about the NC PACES Act law and rules for the state regulators, you may contact John Maron by email jmaron@sosnc.gov To stay informed about NC PACES and crowdfunding please subscribe on the upper right to CrowdfundNC.com and contact us by email crowdfundnc@nc.rr.com. Good news, the NC PACES Act crowdfunding rules have been finalized, and the act is in effect as of today, April 1st 2017. The Secretary of State web site has the rules, forms, instructions and FAQs that startups and small businesses need to start using this new type of intrastate investment crowdfunding financing. Businesses ranging from brand new to mature can make use of the new law for financing. North Carolina based startups and small businesses that want to raise money using the NC PACES Act crowdfunding law (referred to as issuers of an investment offering) will follow the registration, reporting, escrow management, record keeping, promotion, and procedure rules of the PACES Act on the Secretary of State website. Once a registered offering is approved by state regulators, issuers can promote equity or debt offerings to raise up to $2M if they have reviewed or audited financials, and up to $1M if they do not. North Carolina accredited investors can invest an unlimited amount, and North Carolina retail unaccredited investors can invest up to $5000 per offering. Issuing companies can promote the offering using the internet including social media, email, a website and other types of advertising provided they follow the content and procedure rules for the PACES Act. The maximum length of time for an offering to be open is 12 months, and businesses may make one PACES Act offering every 12 months. A very important new idea enabled by the NC PACES Act and the new rules is called the Local Public Offering, or LPO. This is a new and innovative idea that has not yet been tried at the Federal Level or in other states. By following the rules for an LPO, the startup or small business can raise up to $250,000 on their own, and they do not need to use a crowdfunding platform or registered broker/dealer. They can put together a simple equity, debt, or revenue share loan offering, set up an escrow account with their bank or lawyer, and then register the offering with the state. Once approved, they can promote the offering to their friends, family, customers, and community to get the funding. The LPO is a very cost effective way for small businesses and startups to do crowdfunding, and achieves a good balance between cost and risk for both issuers and investors. The PACES Act and the rules also have some very important investor protections built in. All offerings are registered with the state, they must declare a target amount to be raised and a minimum amount to be raised, and they must include information about the use of the funds and other business plan details. Money collected for the offering is kept in a registered escrow account and cannot be distributed until the minimum is in escrow. If the minimum is not reached, all money is returned to investors without charges or fees. If the minimum is reached, the money is distributed to the issuer according to the terms of the offering. The PACES Act and rules also require the issuers to make regular reports to investors about the progress of the offering, and once it is funded, the progress of the business. There are many other details to consider in the rules, and this summary is not legal or investment advice. Consulting with a business law attorney about your offering documents and the crowdfunding rules is a good idea, and for those raising larger amounts a crowdfunding platform will be a good option, as they can take care of many of the details for you. The good news for today is that intrastate investment crowdfunding is now available in North Carolina. And yes, this is for real, not an April Fools!